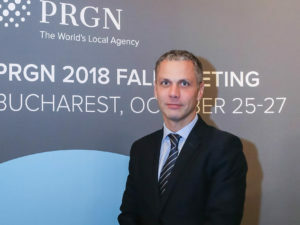 Public Relations Global Network (PRGN), the international network of leading independent public relations agencies, today announced the addition of two new members in India and Russia. The worldwide network now numbers 40 independently-owned public relations agencies on six continents. The PRGN members approved the new agencies at its semi-annual meeting in Mexico this month. Joining the ranks of PRGN are Perfect Relations in India, and CROS Public Relations and Public Affairs in Moscow, expanding the network’s global reach and capabilities in two of the world’s fastest growing economies. Perfect Relations has been at the forefront of the public relations and public affairs arena in the South Asian markets for almost two decades. Widely regarded as the pioneer of public relations in India, Perfect Relations has championed industry growth, developed new markets, created new service benchmarks and introduced innovative services and practices that meet the ever- changing client needs in South Asia. Perfect Relations has a large network of offices spread across 18 locations with 408 employees handling clientele in such vertical industries as automobiles, technology, financial services and infrastructure. The agency specializes in public relations, public affairs, content and collateral development, media and crisis management workshops, investor relations, CSR programs and digital PR. Key clients of the agency include Fortune 500 giants and Indian superbrands such as Coca Cola, Tourism New Zealand, AIG, Franklin Templeton, Diageo, Mercedez Benz, Fiat, Skoda, Godrej Group, Marico, Google, Ebay and Shoppers Stop. Founded in 1997, CROS Public Relations & Public Affairs Company is one of the most influential players on the Russian market and a leading adviser to executive authorities as well as stateowned and corporate clients. Since its founding, CROS has provided its services to over 500 Russian and foreign companies, state and public institutions. CROS has established long-standing partnerships with many businesses, state structures and public institutions in Russia. These relationships facilitate the resolution of extremely complex and wide-ranging tasks in public relations. Drawing on cooperation with leading Russian and western mass media, research institutes and advertising agencies, CROS is able to leverage the resources required to effectively implement effectively federal, regional and international projects. More than 1,000 clients across six continents depend on the combined resources of the Public Relations Global Network (PRGN) to deliver targeted public relations campaigns in over 100 markets around the world. With revenues of more than $100 million (U.S.D. ), PRGN is among the world’s top five public relations networks. 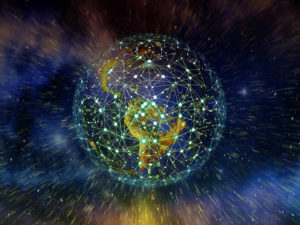 PRGN harnesses the resources of 40 independent public relations firms, over 65 offices and more than 1,200 communications professionals to connect international companies and organizations with individual and culturally diverse markets globally. Visit PRGN online at: www.prgn.com.